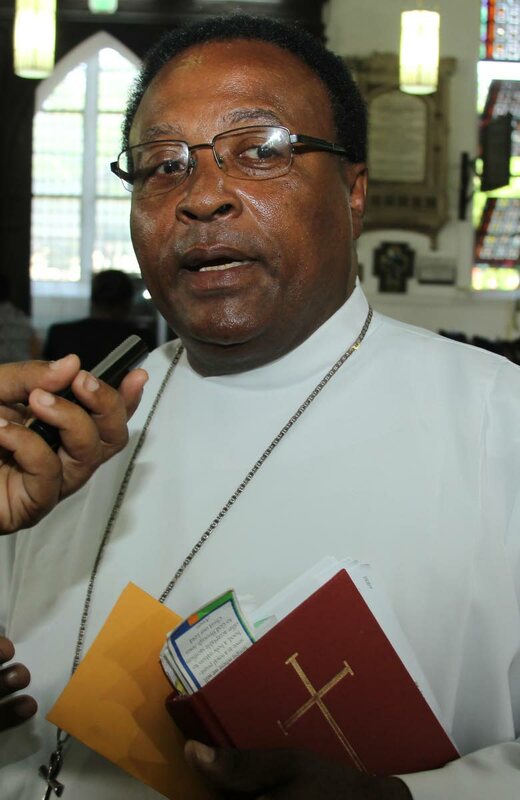 Interim Rector of the Holy Trinity Cathedral, Rev Carl Williams yesterday called on criminals to look for the face of God in their victims. He made the call during an address at the Blessing of the Animals ceremony at the Police Mounted Branch in Long Circular Road , St James. Williams said criminals must take time to look for the beauty of God in everyday life and understand the severity of their actions against their fellow man. "Those that commit crimes need to stop and see the face of God in the people they choose to attack. They need to realise when they kill another man, the face of God is on that man...so they essentially are killing God," Williams said. He lamented that many youths are becoming wayward and gradually drifting away from the word of God. Recalling the story of St Francis, the reverend said while the saint found salvation later on in life after confronting many hardships, many young people continue on their path to destruction. "In our communities worldwide we have young men and women who are being led astray. Sometimes they get caught up in certain activities, but rather than turn their lives around, they continue on the same path." Williams said he understands and appreciates the great risks men and women of the Police Service take as they attempt to secure communities on a daily basis. He urged officers to take time to appreciate the wonder of God in everyday life as their animal partners make similar sacrifices in tackling crime. "Animals perform a very crucial role in maintaining law and order and bringing communities together. We can become so busy and get caught up in our own lives. We should all take some time and stop to appreciate the grace of God in all of His creations including His animals." The ceremony which saw the blessing of 25 horses from the Mounted Branch and 18 sniffer dogs from the Canine Unit, was the first event of its kind in TT and was held in honour of St Francis of Assisi, the patron saint of animals. Reply to "Anglican priest tells criminals: See God in your victims"